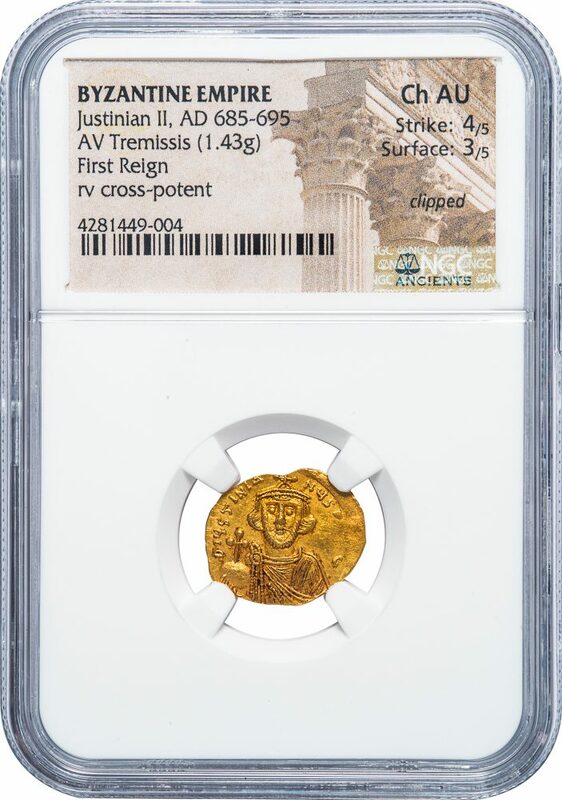 Gold Tremissis, 1.43 g., 17 mm., minted in Constantinople. Obv. Facing bust of Justinian II holding globe with cross. DOC 13; MIB 15; Sear 1255. NGC graded CHOICE AU, Strike 4/5, Surface 3/5, “clipped”.